I grew up on Centre Avenue in a city called New Rochelle...but I came of age on Fear Street in a town called Shadyside. Created and written by the incomparable R.L. 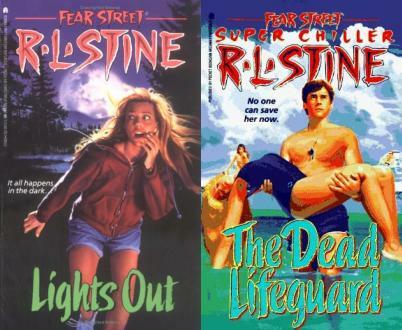 Stine, Fear Street was the first (and most successful) teen horror series that could be found on bookshelves all across America in the early-to-mid 90s. It took place in the fictitious hamlet of Shadyside. Much like Springfield in The Simpsons and Fairview in Desperate Housewives, it existed in Anywhere America. Most of the action centered on a long and winding dead-end street named after a powerful dynasty infamous for its "shady" dealings and black magic practices in the 1800s, eventually leading to a curse that was placed on the entire neighborhood. Before Twilight, there were vamps sucking it up in Goodnight Kiss and Goodnight Kiss 2. Before The Craft, there were witches brewing up trouble in The Burning. And way before those Gossip gals could perfect the art of deception and greed, there was The Rich Girl figuratively and literally backstabbing her way through the senior class of Shadyside High. In its early years, Fear Street was the antithesis of the then-popular Sweet Valley High. Instead of fighting over who would take the Wakefield twins to the prom, R.L. had twins fighting over who would murder their cheating boyfriend first (Double Date). Instead of the new girl in town trying to make it on the cheerleading squad to impress her peers, Stine followed the desperate attempts of a girl trying to exorcise the demonic spirit from her pom-pom-shaking BFF (1992's Cheerleaders trilogy). And rather than spend an innocent weekend at a beach house, away from the 'rents, a group of Shadyside teens shack up in an old oceanside hotel and try to escape a knife-wielding maniac in Party Summer (see also: Sunburn, One Evil Summer and non-Fear Street titles like Beach Party, Beach House). Catering to a generation that grew up on the countless Friday the 13ths and Nightmare of Elm Streets that ran on broadcast and cable television at the time, FS was the Harlequin novel equivalent of those horror flicks, tailored for young readers looking for bloody thrills in the pages of a breezy paperback. One could say that R.L. (that's Robert Lawrence, if you're wondering) was also inspired by those very franchises: Lights Out took place at a summer camp terrorized by a killer, and Bad Dreams toted the tagline "Don't go to sleep!" on its illustrated cover. Needless to say, I was a fanatic. I hung up the calendars on my bedroom wall (up until my freshman year of college). I read every interview with the author (People once did a piece about his life in Manhattan with his wife Jane and his son, Matt, who modeled for the cover of The Perfect Date). I bought his autobiography, It Came from Ohio! and wrote a book report on it in the seventh grade. I know the complete lineage of the Fear family and the detailed history of the street itself (thanks to The Fear Street Saga). And I made sure to run to my local Waldenbooks and order R.L. Stine's debut "adult" novel, Superstitious, well in advance. It had become a habit with me. I had to have the newest book the second it hit the shelves. In the beginning of every month I'd call every bookseller in Westchester County to inquire about any new shipments. I was a regular at the Friar Tuck Bookshop in the New Rochelle Mall (R.I.P.) where Lois, the saleswoman at the register, would give me a polite nod and smile that would say, There's that chubby 11-year-old who has no friends because his nose is always stuck in a book. What Fear Street ultimately taught me was that anyone can be a psycho if you just put your heart in it (or have your heart possessed by a vengeful ghost who seeks to ruin the lives of those around you)...And you can't rely on adults to help you out when the boy you're dating may turn out to be telepathic serial killer. Besides the run-of-the-mill Psycho Girlfriend/Boyfriend, Shadyside was populated with plenty of homicidal residents: Psycho Nanny, Psycho Stepsister, Psycho Best Friend, Psycho Teacher, Psycho Rock Singer, Psycho Lifeguard, Psycho Long-Lost Brother, Psycho Next-Door Neighbor - hell, even a Psycho Santa (Silent Night 1-3). Buffy's Sunnydale would have a tough time competing against this town in the contest for Highest Mortality Rate. The Young Adult section of every Barnes and Noble in the country would never be the same again. An attempt to revisit the series was made in the summer of 2005 when R.L. published a new trilogy called Fear Street Nights. It was supposed to be a sexier, more risque tale, focusing on a group of teens who sneak out at night to hang and drink at a local bar (Ooh, someone contact Child Services) - only to get tangled in some deadly shenanigans. Of course I bought it. Unfortunately I couldn't get past Book 2. Nowadays, the wannabe producer in me wants to buy the rights to the series and adapt it for television, perhaps as a companion piece to Supernatural on the CW. If Josh Schwartz could do it with Gossip Girl, then why not me? 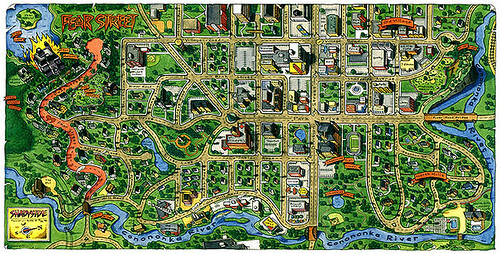 There's an entire generation out there that has never visited this evil neighborhood, and I think they ought to have the chance to make the trip. Perhaps we could produce a crossover episode in which GG's Blair and Serena leave Manhattan to visit an old frenemy in Shadyside and stumble upon her voodoo doll collection that comes alive at midnight. Fear Street will always have a special place in my heart. Like any comic-book collector, I plan to keep every paperback edition in mint condition and proudly shelved as a reminder of bookworm days long gone. Consider it my small part of a legacy in progress. Currently on display in my bathroom is some framed artwork I recently stumbled upon from the series, a little shrine dedicated to one of the influences that guided me down the path to a writing career. *Anyone know about purchasing property rights? I never had a book 'series' I became enamored with... Tried the Babysitters' Club... but as a babysitter myself, I didn't need a club. Read a few Sweet Valley Twins... never even graduated to Sweet Valley High. I, like you was totally enamored with these trashy books, what a great memory. My parents would not buy them for me so i would sneak them out of the library- i don't think i would ever be the horror fan i am today if it wasn't for these books. I love every word you wrote, good sir. You remind me of myself...only cooler lol...finding this page has made my life! I just rediscovered these books. I was a little girl when I first read them (some of the Fear Streets are pretty gruesome for a second grader, but what can I tell you? Even at eight years old I loved my horror stories!) Unfortunately for me, I traded my collection in years ago for credit at a used book store (likely to graduate to my Stephen King phase--LOL) but I'd love to find some of my old FS favorites at the library and re-read em, for nostalgia purposes. I think this series would make for a great TV show! (especially the sagas...the backstories of how the town came to be cursed were by far the best, and most gruesome!) On a sidenote, I also loved the SVH novels! (and babysitters club...lol. I was definitely a reader!) Kids today should pick up some of these old books.. they'd be pleasantly surprised, and we might not have a new generation of completely illiterate children. loved both sweet valley high and fear street...very different but not, you know? i would give anything to get my hands on the 1996 fear street calendar that i know was published but i cannot seem to locate anywhere on the net. uh. the 90s. what can i say. 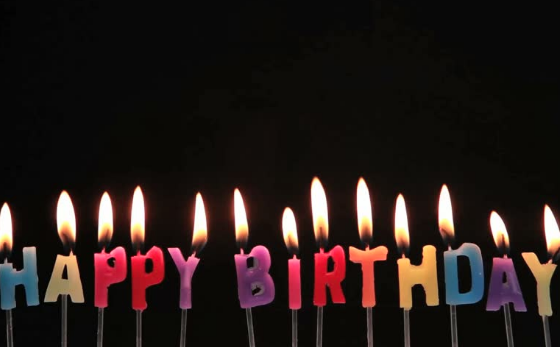 that was MY time as i child born in the 80s. nothing against the twilight saga, the hunger games trilogy to harry potter but kids today really should give this series a try.